Here is a nice pic of the Moon, just entering totality during the recent Lunar eclipse which began on the night of 20 December, and reached its peak darkness in the early AM of the 21st. The entire Moon is inside the Earth’s shadow, but with a slight bluish tone apparent on the receeding limb, still getting a bit of diffuse sunlight exposure. This blueness of the Moon’s limb is most apparent on the diminishing sunlit parts during a Lunar eclipse, especially just before it goes fully dark, when the thin Lunar plasma atmosphere is subjected to only a small amount of light exposure and excitation from the Sun. The photo is of course a time-exposure of nearly a half-minute, which helps to intensify the colors. At this time of the photograph, the disk of the Moon could hardly be seen with the naked eye. 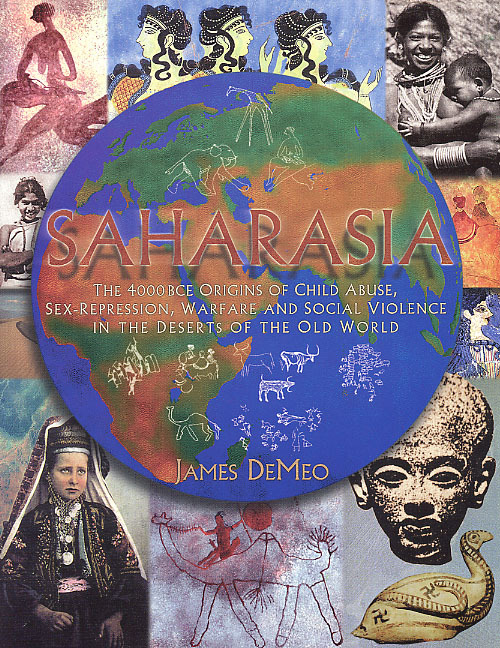 Click on the pic for a larger image, or try here. For color-comparison to a more typical but impressive Harvest Full Moon picture, click here. White light from the Sun is a mixture of all the colors of the rainbow. When a ray of "white" sunlight passes at grazing incidence through Earth’s atmosphere, molecules and aerosols in the air scatter blue light in all directions (this is why the sky is blue). The remaining reddish light is bent (refracted) into Earth’s umbral shadow zone, giving the eclipsed Moon a coppery glow. You’ve heard the phrase "Blue Moon", or "once in a Blue Moon" to signify a very rare event… and indeed the "blueness" of the thin and rarified ionized-plasma and electrostatically-charged Lunar atmosphere is typically something not routinely observed. 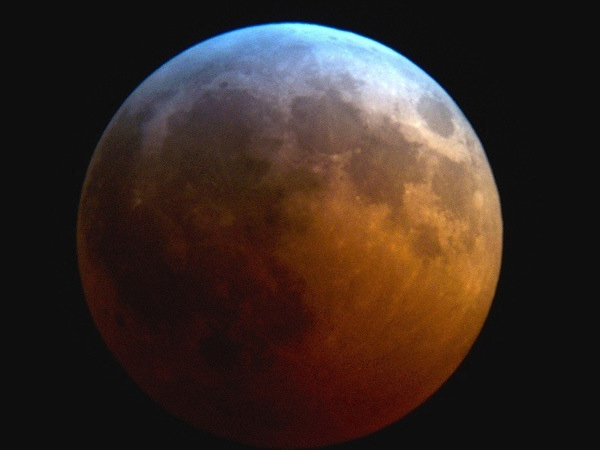 Frequently, atmospheric dusts or fire-smoke will also yield up a blue coloration to the moon, but that is not what is happening in the case of the blue-edge effect during a Lunar eclipse, as shown in the above photo. 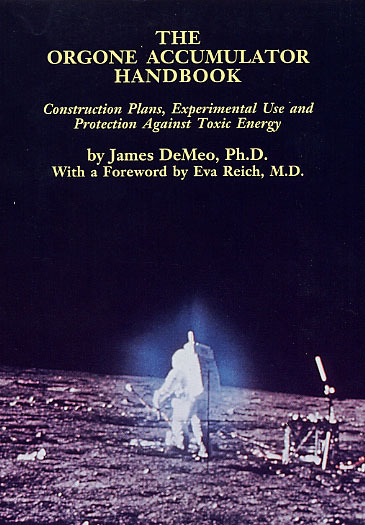 (See my discussion on other blue-glowing Lunar anomalies here.) This phenomenon is not given much attention by mainstream astronomy, as it appears to be an anomaly. And it isn’t going to be easily observed or photographed unless one actually looks for it, makes an effort to try and photograph it. One’s telescope lenses and imaging cameras must also be designed for full and natural color rendition. The shot was made using a Meade 16" LX200R telescope with 24 second exposure, using a Kodak 4 mp digital camera, as taken through a Meade 4000 Super-Plössel 56mm eyepiece. The image was captured just before midnight at the OBRL Greensprings Observatory, at 4200′ elevation, east of Ashland in Southern Oregon, USA. It would have been of sharper focus and better color rendition except for a thin layer of cloud-haze at the time. Is the Big Chill On? All the "people who mattered" wagged their fingers in our faces about the dangers of "global warming" from CO2 emissions, just before jetting off to party in Cancun. They told us all to plan ahead for heat and drought, that we have to reduce our "carbon footprint" (while they did not), that the sea-level would rise as glaciers melted. However, instead of showing up in a bathing suit, Mother Nature put on an icy funeral shroud, and showed herself to be an ashen-faced killer. OLD-FASHIONED PLAIN-SPOKEN SCIENCE: The value of a theory is shown in its ability to make accurate predictions. NEW IMPROVED HOLLYWOOD SCIENTISM: The value of a theory is shown in how far it can be abused to advance Marxist agendas of left-wing professors and politicians, to make Hollywood Stars feel self-important, to pound down ordinary people under authoritarian rules, and drain economic wealth into the pockets of dysfunctional party bosses, unionists, third-world dictators and their various "community organizations". Based upon such lousy politically-driven "science", governments everywhere engaged in angry alarmist rhetoric, denounced critics with character assassination, and told people to stock up on sun-tan cream and life-boats. They should have instead been stockpiling on winter-heat fuel, emergency shelters and food storage, and more snow-plows. A word to the wise: Do your own planning ahead, and expect no help from "government" in the worst-case scenarios, for example that we might really be entering into a renewed "Little Ice Age", with all its attendant famines and disruptions. I hope not, hope I am 100% wrong, that the chilling will be replaced with a return of warming very soon, as the Medieval Warm Period was in fact a time of abundance and plenty. But it does not appear to be so. Busy little bees at the Ministry of Truth. Meanwhile, some people live so high up the stratosphere, or are so zonked out on dope, they will be the last to get the message. Palpable arrogant stupidity from the Ruling Class. And equal or greater stupidity among those who voted them in. Will be given a snow shovel, sent to Sierras. TSA agents also to get snow shovels, work off fat. 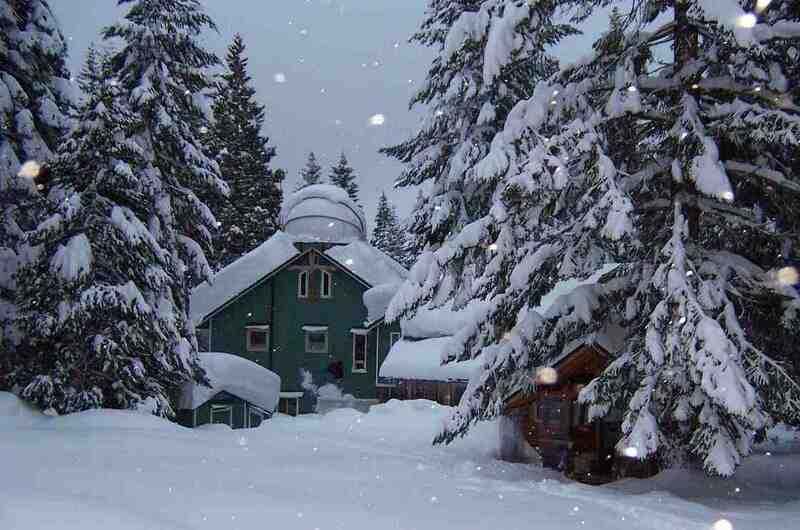 Gaia Mother Goddess hears prayers, breathes frost. 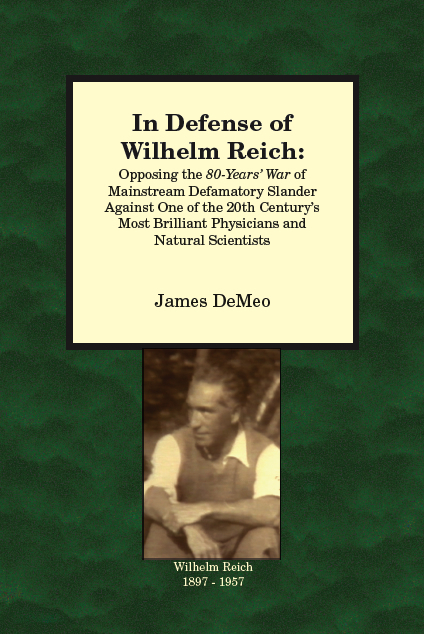 James DeMeo, "Experimental Confirmation of the Reich Orgone Accumulator Thermal Anomaly", Subtle Energies & Energy Medicine, Vol.20, #3, p.17-32, 2010. 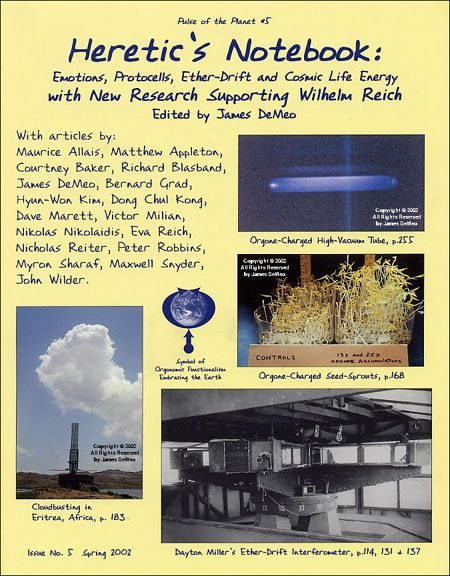 Richard Blasband, "The Orgone Energy Accumulator in the Treatment of Cancer in Mice", Subtle Energies & Energy Medicine, Vol.20, #2, p.7-14, 2010. 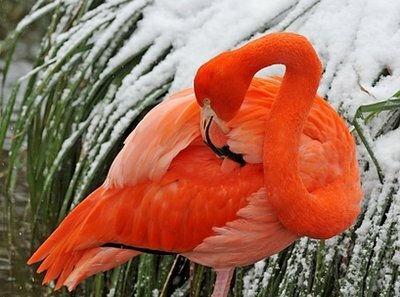 Are we freezing because of global warming? The true answer is of course, NO. The cold temps are part of natural climate cycles. The whole structure of the original CO2 theory of global warming predicted constant warming. If you go back to saying the warming can cause a cooling, then one has abandoned the original theoretical premises and gone back to pre-CO2 thinking. That’s well and good, but the continued mis-classification of current weather and climate towards global cooling as being the product of "global warming" has no rational connection to CO2-theory as a climatic force, which predicts constant warming no matter what. This one has it spot-on correct. Obama-Eggheads manipulated the climate accord, just as they have scrubbed their data clean of cooling, and changed history to erase the Little Ice Age and Medieval Warm Period. This was going on parallel to the "climate-gate" leaked emails, detailing academic lying and efforts to back-stab, censor and professional destroy critics of CO2 theory. Well, when good climate science and political arm-twisting doesn’t suffice to get their way, what else can they do except pray to the violent and bloody gods of the Mayan pyramids! After consulting the Mayan gods, and getting all ginned up and coke-headed, they decided — by virtue of typical Marxist "democratic centralism" decision-making ("they" democratically decide what everyone else will do) — there should be forced rationing of food, water, and all natural resources. But only in the evil capitalist "developed world". Certainly, no rationing in Cancun! Behind the scenes … Cancun was selected this time around because the last two "Global Warming" conferences held in Washington DC and Copenhagen were attended by blizzards and record cold temps. This year, they made sure to hold it in the Tropics… lots of fun… your tax dollars at work. Wasting away in margaritaville, deciding the fates of nations.